Well, that is my Uncle Peter, my aunt and their little grandson, little Peter, whom I had to take care of, stayed at my Uncle Cornelius' place until little Peter's parents, with their girl, Elsie, came along. Petja's (little Peter) parents were held back in Riga because of his father's awful bout with rheumatism. We - the people I stayed with, her parents, and her brother and his family - went to Rosthern where we found shelter in a large, old farmhouse. (Along with about six other families). I can truly say that my eyes and ears were opened to a great many things that a girl my age - twelve years - would generally not be exposed to. The main room, comprising almost the whole downstairs, was merely divided by curtains strung around homemade double decker beds. The dining room was simply a large table in the centre of the room, and the cooking was done on one large stove. The whole deal in there was a community affair. We all ate together. Evenings, before bedtime, we took turns going to the 'taunti' for there was only one to accommodate the whole works. Generally the ladies and children would go first, standing in line, and later on the men would take their turn. Saturday was bath day. To an experience. The bathtub was a round washtub. Mornings we children would go to a neighbouring farm where the people kindly gave us, free of charge, all the separated skim milk we wanted. After a very short time, we - that is my cousin and her husband with their two children, for whom I babysat, and my cousin's brother and his wife and little boy - moved into a little house situated in the yard of a flour mill. My life in that little house was truly a happy one for I loved activity and there was lots there, what with the farmers driving in with their loads of wheat to be ground into feed or milled into flour. 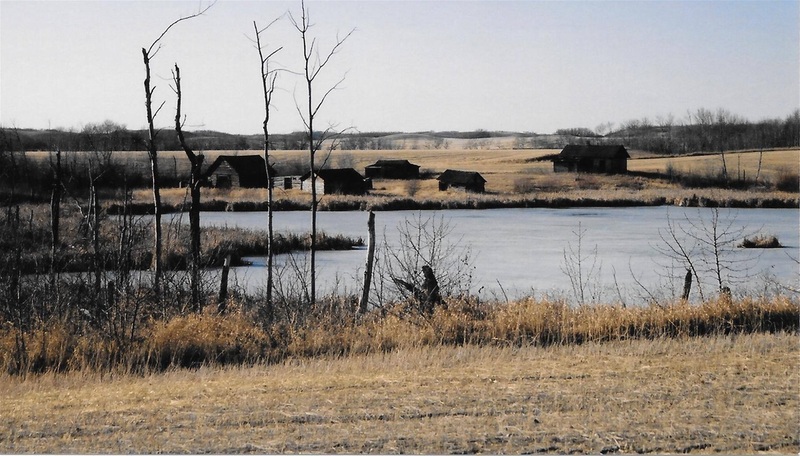 Early that spring, we bundled up one morning into a Model T Ford, paying the owner an exorbitant sum of dollars to drive us to a remote little place in the Sasakatchewan wilderness called Rabbit Lake. My cousin and her other family had decided to pioneer on CPR land. We were on the road from Rosthern to Rabbit Lake - a distance of about 120 miles - a whole day! We did have some car trouble though, which accounted for some delay. The roads were simply ruts in which you stayed until you got wherever you were going. I don't recall meeting a car on that trip, and horses pulling wagons gladly yielded the road to cars. Those days, the horses shied at the approach of cars and often not only shied, but ran away when they saw the 'monsters' approaching. We arrived and were taken in by some people who had preceded us into that bush country by only a couple of weeks. Snow was still lying along the roads and we hauled our water for washing clothes from the ditches that held the run-off water. It was on one of these hauling excursions where I had the big surprise, and the first one in all my twelve years of living. It was like this - I stood on the wagon lifting the pails of water handed to me and pouring them into the barrels, when the horses unexpectedly pulled forward and just about drowned me with the ice cold water that spilled over me. I shrieked and the horses ran away with the man holding on to only one line. The horses kept running in circles for quite some time before this man managed to stop them. Well, now, the language that was poured out at me would have fried a fish! We lived with these people only a short time, for my cousin's husband had found a disused, sod thatched little log cabin into which he moved us. This shanty was only tiny, but the five of us moved in. I remember the first trip to this cabin with my cousin's husband, Henry. Henry pointed with great pride to a little lake that came in view as we neared the cottage. Actually this lake was only a slough (pronounced 'slew') but served us during our stay in the log cabin for all the water needed for us and the cattle. Henry dug a small hole a little ways off from the slough where the water would seep through the ground and where we dipped for water for drinking and cooking. It must have been good for I don't recall any of us ever getting sick from it. While we could drive the cattle and horses to drink there, it was rather a chore to tote all the water for washing and cooking, as it was a distance of about a quarter mile! We landed about 28th or 29th of December, 1925. Traveling from St. John's New Brunswick, we arrived in Winnipeg on the 31st of December. Wondered what all the noise was about since the time of arrival in Winnipeg was about Midnight - New Years Eve. Trip through bleak prairies was discouraging. Here and htere in the winter nothingness, there was a tiny two-storey house with smoke pouring straight up into the cold sky. My cousins (Cornelius & Henry Plenert) met us at our place of arrival at a little town called Stanley, Saskatchewan. We were bundled onto hayracks and were driven over the crunchy snow in a seemingly endless ride through a still moonlit Saskatchewan night to my Uncle's home on Sheldon Farm - Sheldon Farm being one of the numerous Mennonite settlements who were renters on this vast prairie. We children enjoyed the sound of the crunching snow under our feet. 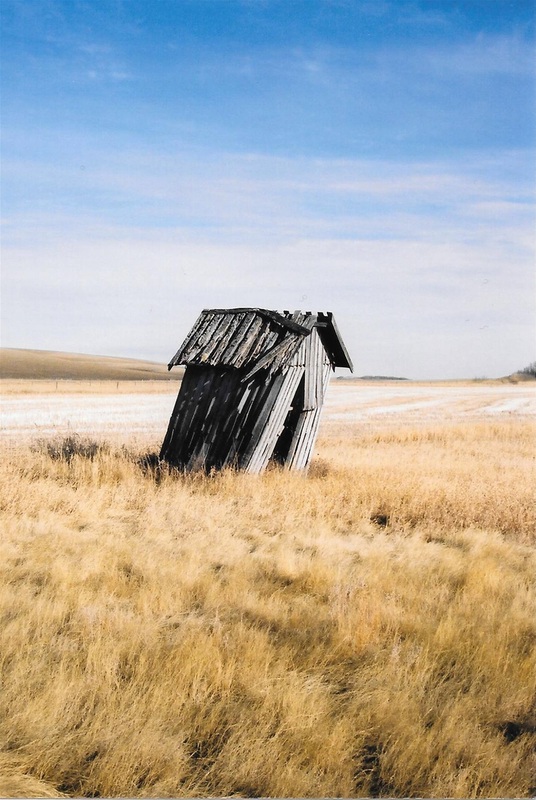 But the necessary trips to the outhouse were something else again. Lord, it was cold! I well remember the Eaton Catalogue hanging on the privy wall and how first all the soft pages would disappear, leaving the shiny, coloured ones to the very last, but at any rate, providing us with the rather pleasant pasttime of looking at the pictures and dreaming of what we would buy, had we the money. Usually, before the necessity of using those shiny coloured pages would arise, a new catalogue would arrive and a replacement would find its way into the 'taunti' (Mennonite for Privy). Stories were still alive around the place how on Hallowe'en, which was entirely new to us, some kids had thought it a very funny joke to lay a stiffly frozen dead piglet across the hole in my Aunt's Privy, and stand aside to watch the fun. Well, the resulting scream from my aunt when she sat down on that bristly cold thing was enough to curdle the blood in the bravest of the lads. They never wanted to repeat that trick again.